I came across this while going through some boxes. 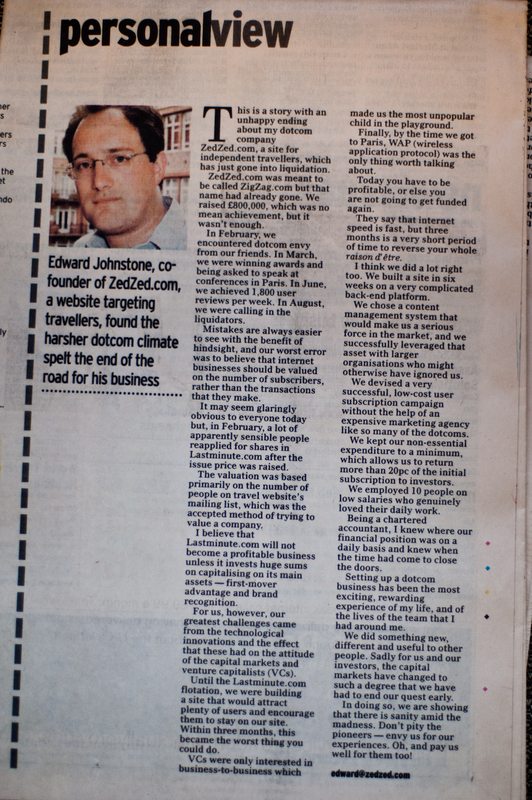 It’s a piece about ZedZed.com, the dot-com startup I was CTO for back in 1999/2000, by the CEO, Edward Johnstone, from page 4 of the Daily Telegraph’s dotcom section on 17th August 2000. « Building Silicon Valley in East London?